It is my bigger tank, with few fish only due to few recent problems with some strange illness killing some of my fish. I have decided to wait couple of months before adding something new. Also most of the plants on the front have just been planted so they don't look greatest as yet. I hope you would enjoy it as much as I do. 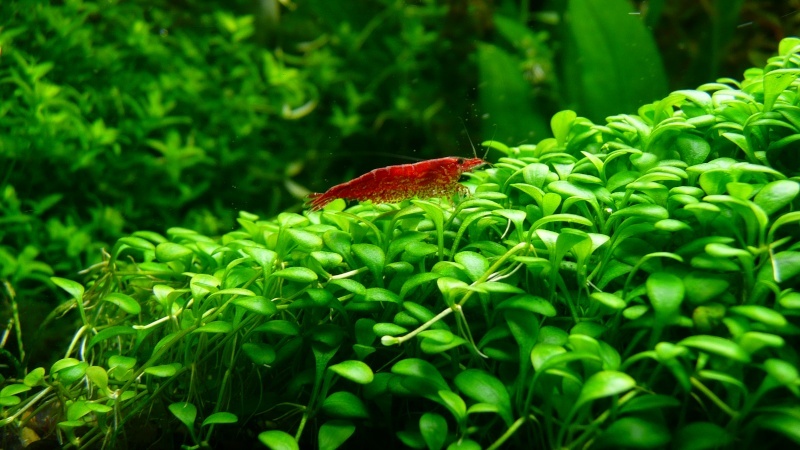 And my little (about 20 litres) shrimp tank with couple of ghost/glass shrimps and few dozens of red cherry, also used to grow fry from the bigger one when/if spotted before eaten. Not to many plants there as yet due to much needed light development, at the moment only 11W which is well to low to grow anything but maybe in new year or after bonus in March, if I get one . Going well expect for the Hemianthus Callitrichoides which seams to be very slow growing, poor rooting and is being nipped by fish. 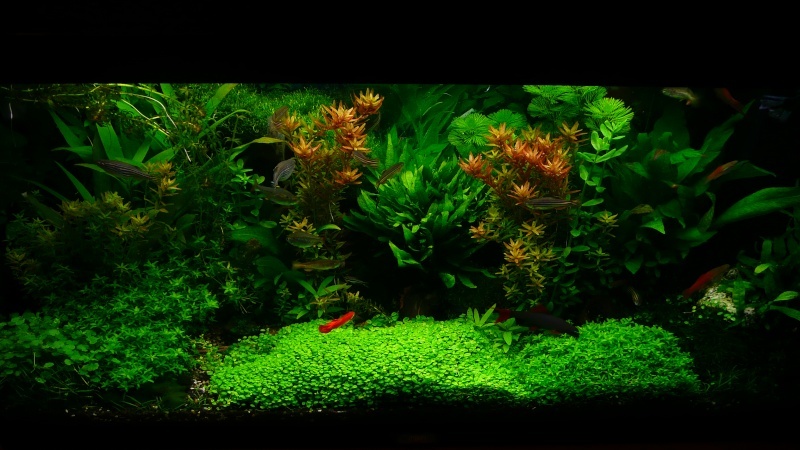 Hi ro0bi, that looks really nice - your plants are coming along fantastic, can i ask what lighting you have on the tank and what's the plant on the floor? 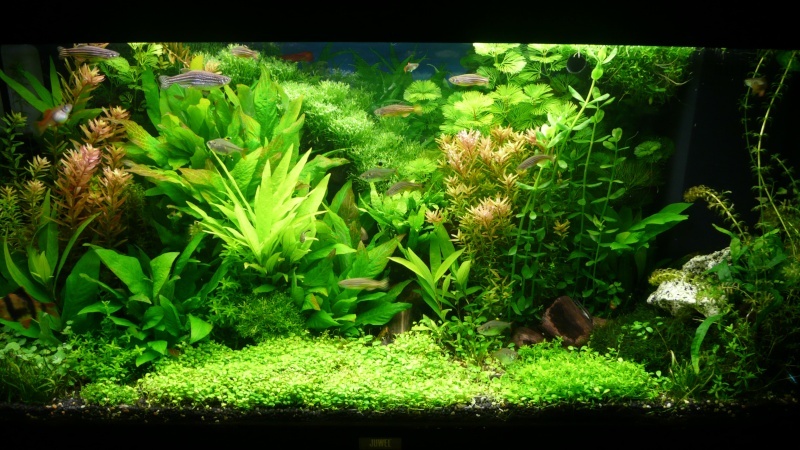 dave wrote: Hi ro0bi, that looks really nice - your plants are coming along fantastic, can i ask what lighting you have on the tank and what's the plant on the floor? Lights are 2x55W PLL - the Phillips Master 865 on the middle & the Interpet TriPlus on the front. The last picture is showing tank with Phillips only due to an accident with my air pump (one of the hoses got off and water went straight to my ballast ). The plant on the first plan, centre of the tank is Glossostigma elatinoides, if you are on IOM I can spare some cuttings. See below picture for close up. 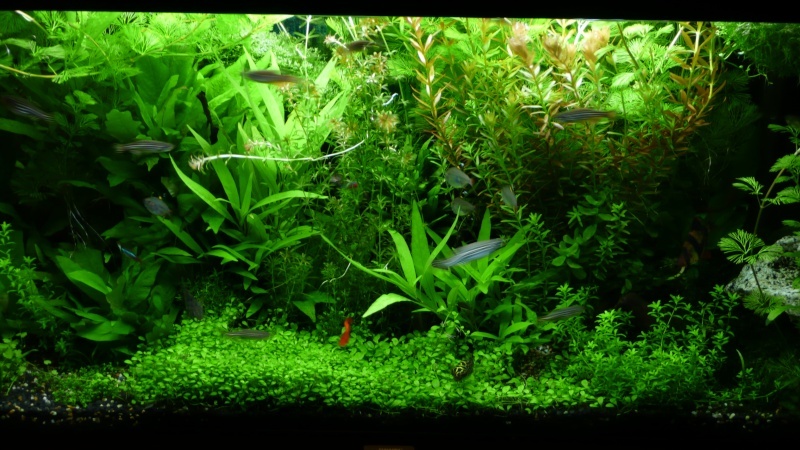 Love the plants, never seem to have any luck with plants, have you got CO/2 in there? Wouldn't mind a few cuttings, if you can spare, I have Discus, Angels and Neons, plus cory's in my 400 litre, been running for a couple of years now. 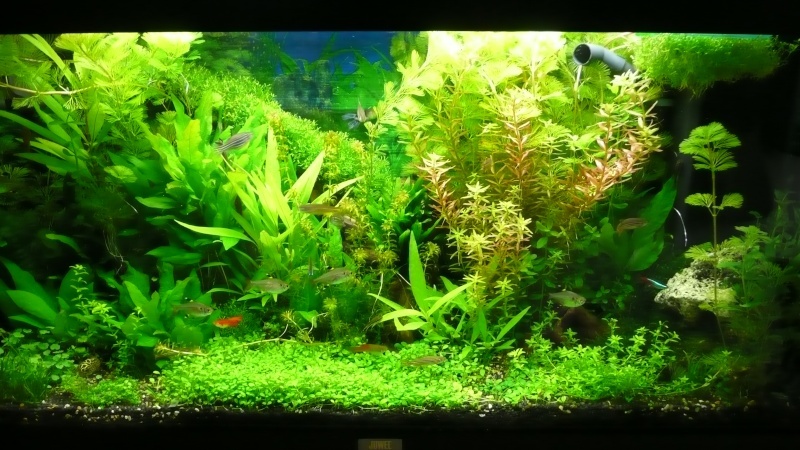 Yes I do add co2, I have tried 'low tech' (without adding co2) but it did not work, as a big fan of plants and green tanks last year decided to go 'hi tech' (lights 3Watts+ per gallon and co2). So cold DIY co2 (yeast) was my first choice but it was not as reliable as I needed for my tank and after disaster with yeast getting in to the tank in November I have sort of invested in pressurized system (DIY build - running of co2 fire extinguisher). As you can see on the pictures it does work . I still have to work out the 'feeding dose's for my plants but it is just question of time (I hope it is). Thanks for your prompt reply. Your tank looks splendiforous, I have no plants in my tank, a 400 litre, with eight discus, 4 Angel fish, 5 Neons, and about ten cory's. 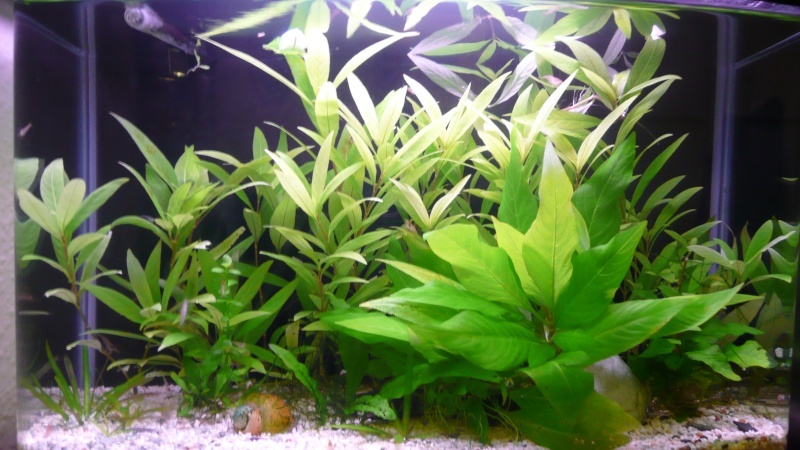 Which do you suggest, and I do not understand the methods of Co2, never gone in for plants but have ordered some off ebay, I do like the ground cover plants, but understand that with the Discus, tall thin plants are good, but I am sure they will be pleased with any. I also have a 250 Red Sea Max., I also love my corals. 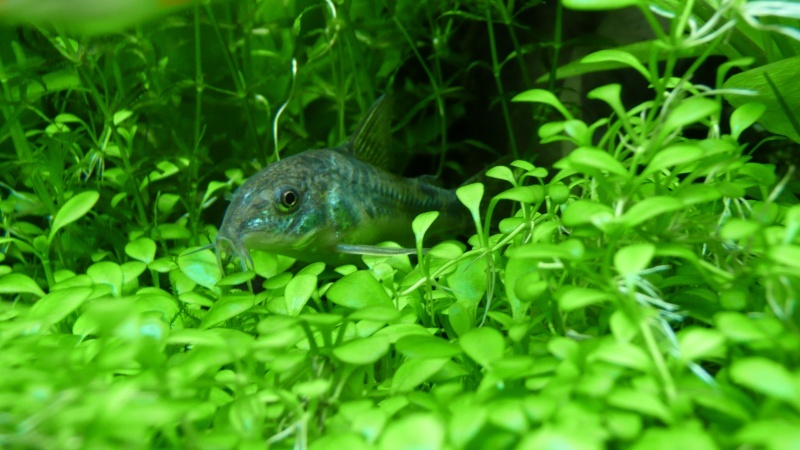 As for co2, please note that plants breathe using co2 as fish breathe with o2. 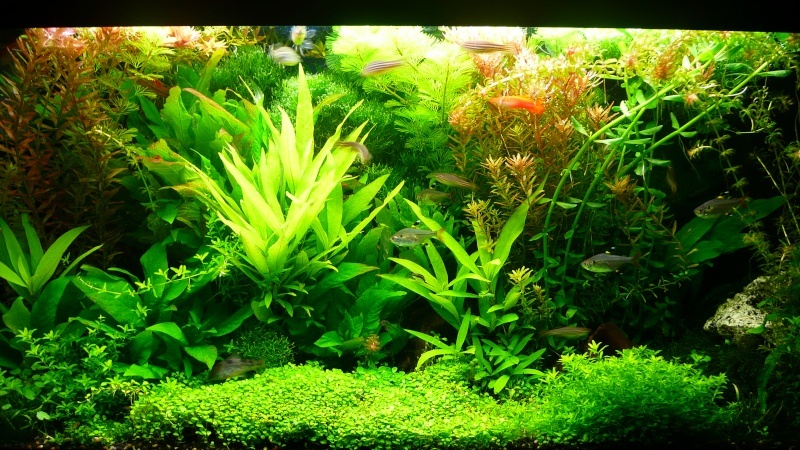 In your tank you will have some level of co2 generated by your fish which most likely will be to low for many plants. 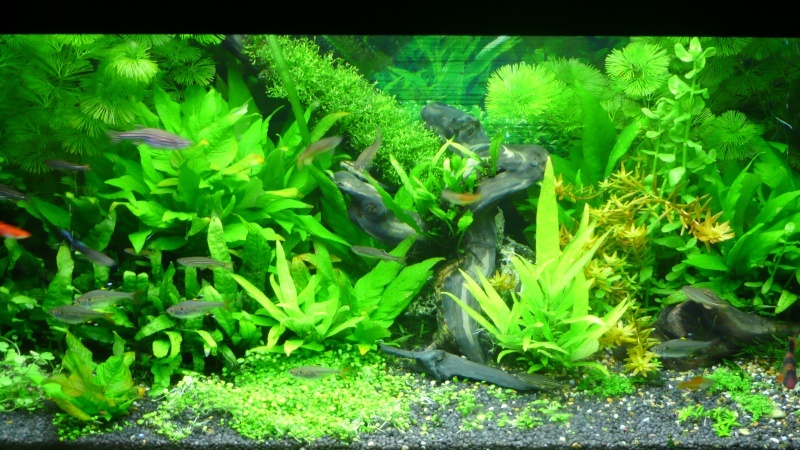 If you place few plants in the tank they will consume all available co2 very quickly if the lights will be on right level as such some external source of co2 will be required. 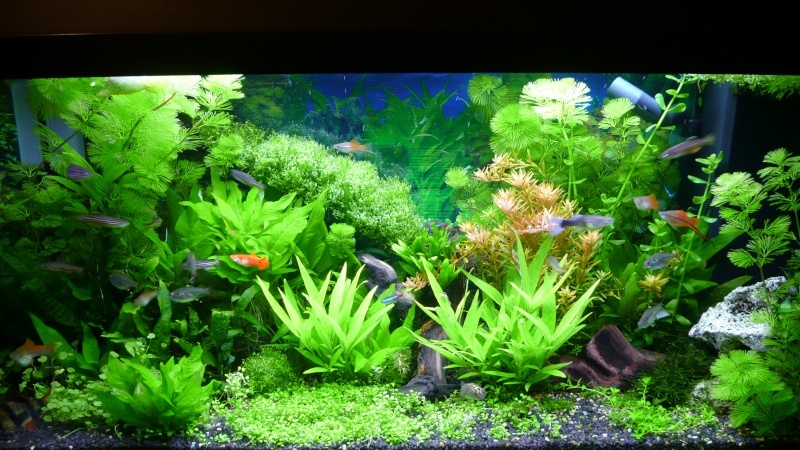 In you case I will suggest to start with liquid option first so you can get in to the plants and related issues. Then once you got the bug it is like with you corals, will cost a bit but will look a treat. OK, now when co2 is available you plants will need light so they can start growing. You can not expect plants to grow if they do not have appropriate light. Unfortunately it can not be just light, it has to be as close to natural sun light as possible and at the same time have the right colour for you plants to look nice 'green' and get all of the energy they need from it. So the lights you have will be very important for the future 'well being' of you plants. 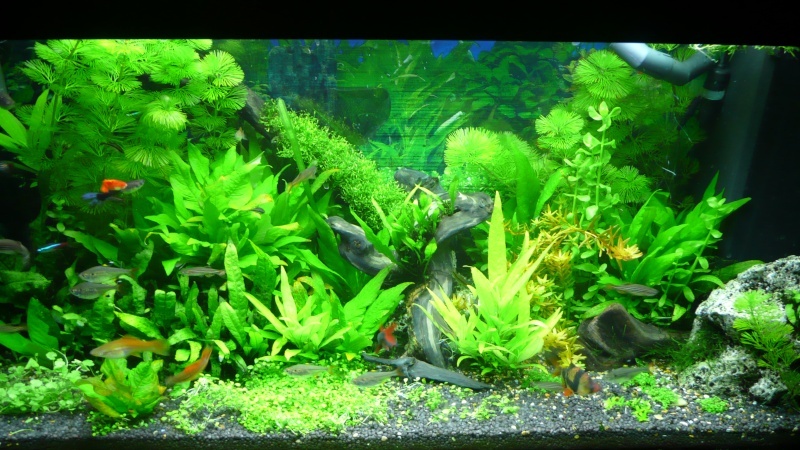 Taking all that into account it may be quite a challenge to get it right from the first time and that's why so many people struggle with keeping plants in the tank however I would strongly advice do not stop trying, it is well worth the effort to see happy fish in green surrounding, it is like a magic window, with incredible view always sunny, and green, and full of life. Anyway, I am more than happy to provide any required help and advice as long as my knowledge and experience last to anyone who need and wish to take it. Coming back to you tank; what lights do you have (fluorescent?) and how many watts there is? Im sure there's been some serious time and effort gone into maintaining and arranging all of those plants. I moved your topic into the main freshwater section where you can continue as a diary of your tank and keep us all updated. Just to say a BIG THANK YOU for the lovely plants, maybe you can call on us another day with wife and baby son, love to see you , just ring to make sure I am in.